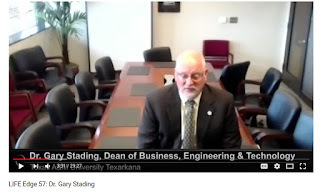 Welcome to an interview with Dr. Gary Stading, Dean of the College of Business, Engineering, and Technology of Texas A and M Texarkana. 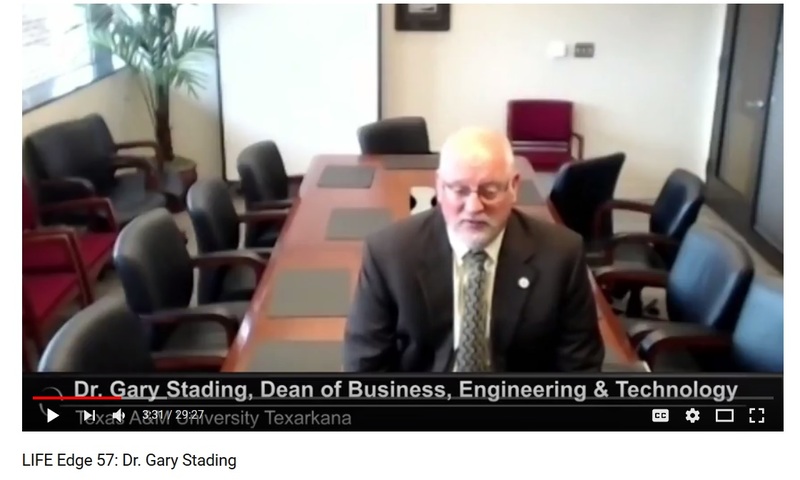 Dr. Gary Stading comes to Texas A-M Texarkana after a distinguished career in industry, including transportation and supply chain management. He has been recognized by a number of global organizations for his contributions. 2. How can an MBA prepare a person for changing times? The Texas AandM Texarkana MBA program is designed to help build and enhance the skill set you need to compete in today’s fast-paced marketplace. Whether you are managing your own business or trying to advance your career to the next level, completion of the Texas A--M Texarkana MBA program gives graduates a competitive edge through its unique class design approach, flexibility, affordability, and diverse concentration options. What makes Texas A - M Texarkana different? The College of Business, Engineering, and Technology (CBET) faculty concentrate on preparing students to be valuable leaders in both business, and community service initiatives. The CBET offers quality undergraduate and graduate programs through academically and professionally qualified faculty. The tenured and tenure- track faculty members are active scholars that consider intellectual scholarship an asset for providing excellence in teaching. The faculty pursues continuous improvement, and they realize that the curriculum must emphasize critical thinking skills and emerging technological solutions to prepare students for today’s complex business environment. In addition, the faculty recognizes the importance of being active in community service. 3. What do you see as the importance of Energy Leadership at this point in time and in the future? The College of Business, Engineering and Technology works closely with members of energy based organizations, such as the American Association of Petroleum Geologists (AAPG) and Southern Gas Association (SGA), to offer an MBA with a concentration in Energy Leadership. to meet the needs of many growing businesses. This degree is developed for professionals already in the energy arena or aspiring for valuable and exciting careers in the energy and petroleum based industries, including oil and gas. The coursework develops skills vital to successful leadership in energy related fields. These topics include such areas as risk assessment and the management, accounting and financial planning specific to energy related fields, and management of capital and personnel resources. The program is offered online which enhances and encourages student interaction from all over the globe. 4. How can Supply Chain Management make a different for students in their professional lives and careers and how is SCM changing? Supply Chain Management (SCM) provides an exciting and rewarding path of study, in which students learn skills that directly affect and can increase business profitability. Careers in SCM take many paths and end up with a multitude of career options. The curriculum teaches students to properly balance materials, finances, and information throughout the supply chain to achieve growth of company profitability. Skills acquired via the Supply Chain concentration are in high demand. By completing a degree in Supply Chain Management, students will set themselves apart to succeed in business. Students will develop analytical skills in learning about inventory management, logistics, quality, purchasing, and transportation. Students in supply chain management have the opportunity to learn and then subsequently return value to both their own personal investment portfolios or to grow their company business. Supply Chain is changing the way businesses compete. Students learn how businesses leverage relationships with suppliers and customers by forming teams to compete in the marketplace. 5. What are some of the new directions in business leadership that you see emerging? 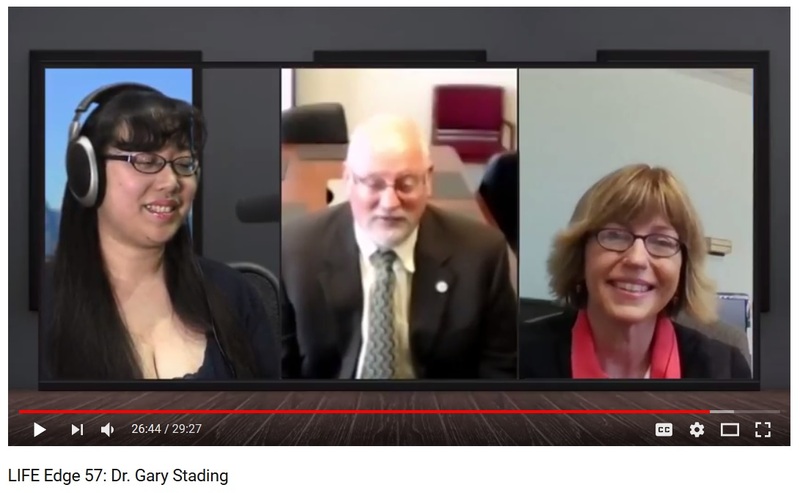 I don’t know that I would call these perspectives “new directions,” but I’ll talk about some of the newer academic topics and perspectives being discussed in leading business education journals. One such topic is that the authors are arguing that it is important for business leaders to keep the forces of technology from dehumanizing the workplace. De-emphasizing the human element out of the workplace is strongly discouraged because it basically eliminates a key sustainable competitive advantage for businesses. Another stream of leadership discussion warns against “hero worship” of business leaders. This rhetoric discusses how the practice of romanticizing business leaders gives too much credit and too much blame for failures on high profile leaders of companies. A third area of discussion is really a research area. A group of researchers are evaluating how a transfer of workplace knowledge is occurring and should occur between the retiring baby boomer generation and the millennials stepping in to take their place. 6. Please recommend a few books for our readers. I personally would like to recommend of recent resurgence of a genre of books out about some historical leaders. I have read some recently published books about U.S. Grant, Hamilton, Jefferson, Lincoln, and others (each has different authors and titles). While their places are cemented in history, the stories of these historical political leaders and recently researched leadership styles provide a fascinating perspective on effective leadership styles. Two, in particular, are the recent biographies about Grant and Lincoln. These stories also provide analysis of some of their failures, discussing how these leaders overcame or coped with the trials and tribulations of these eerily similar obstacles experienced by modern day leaders. The stories about Lincoln and Grant involve some surprising similar problems that modern day leaders face. For instance, Grant, when he was president, was deeply involved in equality issues of all kinds (e.g. both race and gender). Anyway, I believe we can learn a lot about leadership by studying some of our historical leaders. 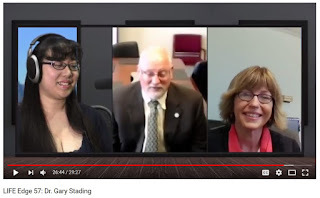 Life Edge Interview with Gary Stading, Ph.D.